(8) If today you hear his voice, harden not your hearts. As we have come to the third Sunday in Lent, we are half way through of this journey in the desert. The desert is not a pleasant place to be because the lack of water and one can die of lack of hydration really fast without water. I personally have not seen one while traveling through the desert of the Southwest, but I have heard of an oasis existing in deserts – an isolated source of water in the middle of desert. Travelers who are dying of thirst only pray they come across an oasis. As we read in the First Reading, we see the Israelites have been led into the desert by Moses. Their journey through the desert has an end objective of being free of slavery and a journey back home to their own land, which this journey has taken a toll on them. They begin to lament to Moses as to why they have been led into the desert; extremely concerned that they and their livestock will die of thirst unless they soon find water. This lamenting is like someone praying they find an oasis. Moses turns to God seeking help in order to find water, and God provides the life-sustaining water by instructing Moses to strike the rock. This striking of the rock parallels with a significant event during the Passion; the parallel is the piercing of Jesus’ side during the Passion. Yet we do not need to get too far ahead of ourselves because we are still in this season of Lent. In the Gospel, we read the story of Jesus meeting the Samaritan woman at the well seeking water. This story contains themes on various levels; the issue of there should not be interaction between two different cultures is the most obvious, but I am going to discuss another theme. The theme I am going to discuss is how the interaction between Jesus and the Samaritan woman at the well is another parallel to God providing water to the Israelites while out in the desert. We see in the Gospels Jesus referring to himself as the Bread of Life many times, but we read Jesus referring to himself in a different way in this story from the Gospel of John. In the dialogue between Jesus and the woman, he refers to himself as the Living Water. This conversation leads to the belief that Jesus is the Messiah. Our forty day journey through Lent is not an easy one, but it is a journey in which we eventually come to find the Living Water at Easter, after being in the desert. God provides us, just as he provided the Israelites if we choose to believe and follow the message of Jesus like the woman and Samaritans did. We have heard it over and over regarding Lent being a time of preparation and conversion, but it cannot be expressed too many times. 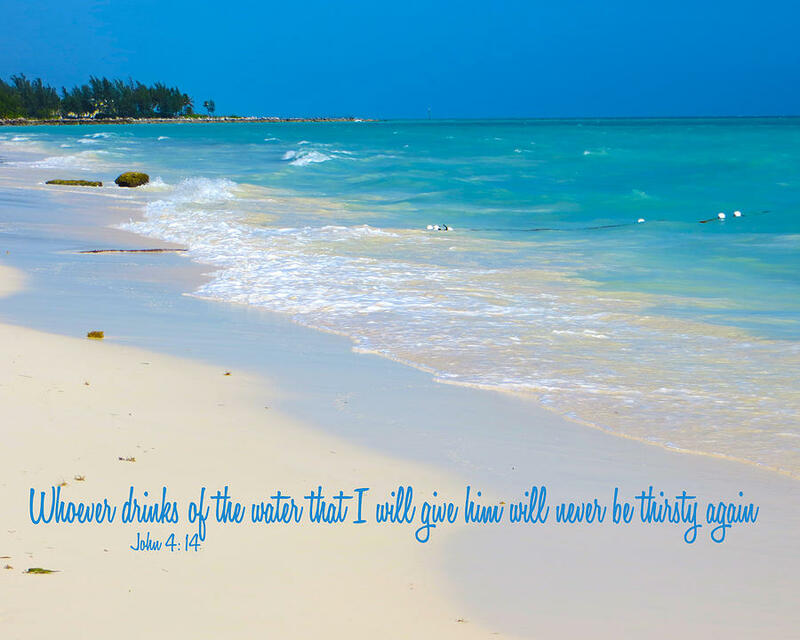 Just because we eventually come to find the Living Water at the end of these forty days does not mean we can turn back to our own ways, but rather we have to take Lent seriously to continue remain changed, or we will continue to remain thirsty. Father, as we continue our Lenten journey, may we be reminded that this journey is a time to grow and change. It may be a hard journey in the desert, but help us recognize that you gave us Living Water, and that we may always believe in this Living Water to spread the message of Jesus. This we ask through Christ, Our Lord. Amen.